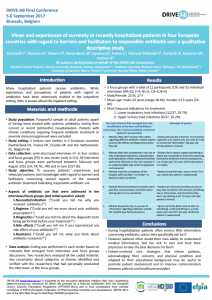 Poster produced for the European Congress on Clinical Microbiology and Infection (ECCMID), April 2017. 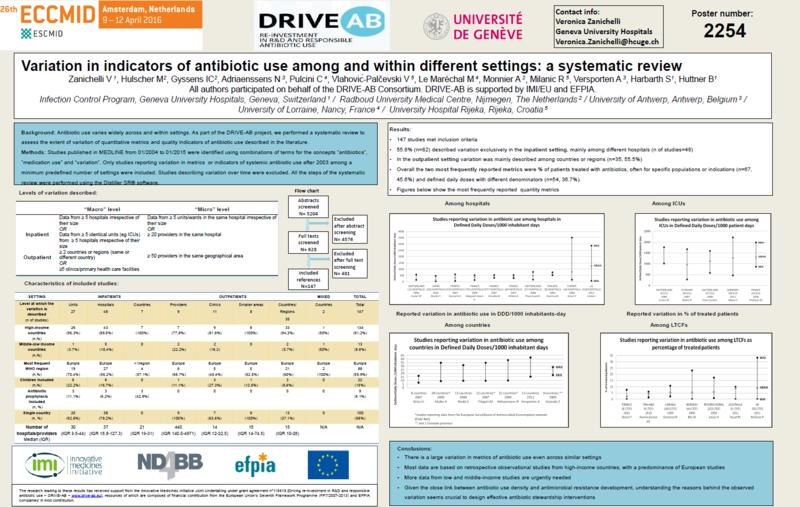 Poster on mid-term DRIVE-AB progress, produced for the European Congress on Clinical Microbiology and Infection (ECCMID), April 2016. 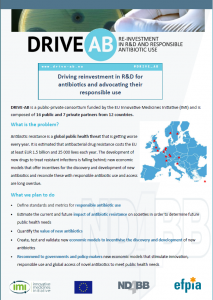 Full, double-sided overview of DRIVE-AB background, activities, stakeholder engagement, and timeline. 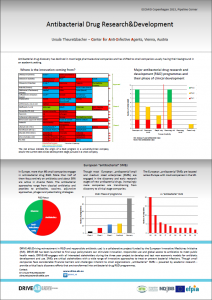 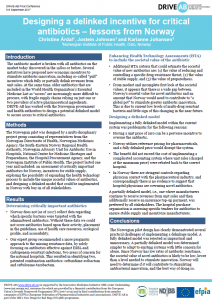 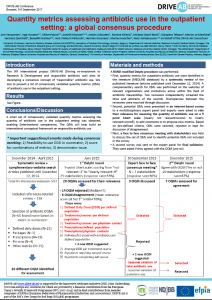 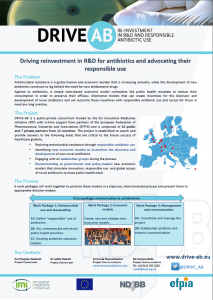 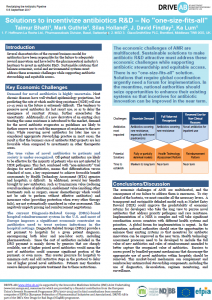 Poster from the European Congress of Clinical Microbiology and Infectious Diseases (ECCMID) Congress 2015 European Network Corner. 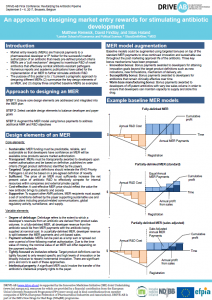 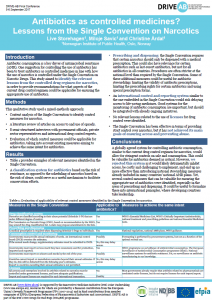 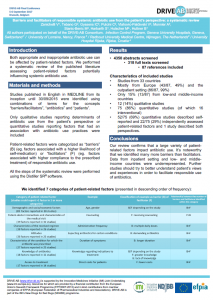 Scientific poster presenting some of the findings of Work Package 2. 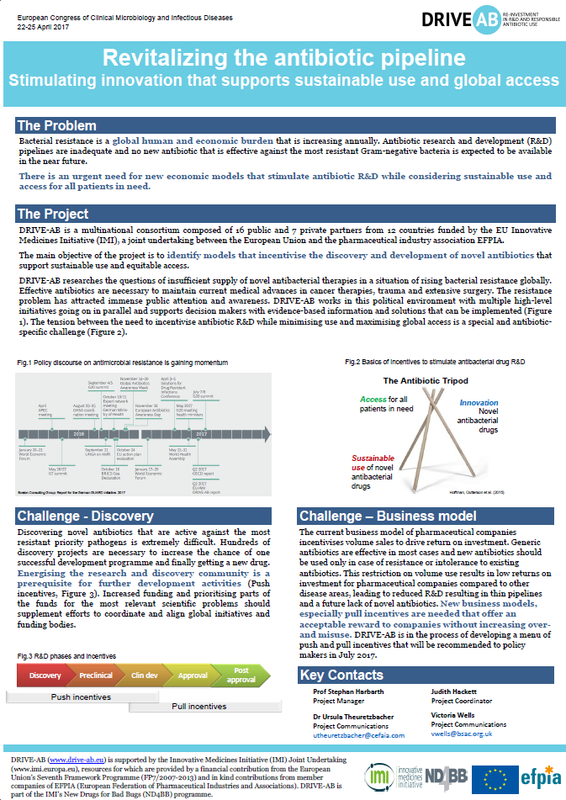 Presented at the DRIVE-AB Final Conference, September 2017. 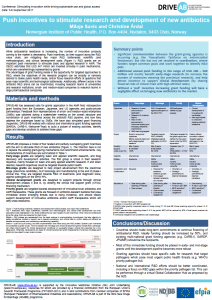 Scientific poster presenting some of the findings of Work Package 1A. 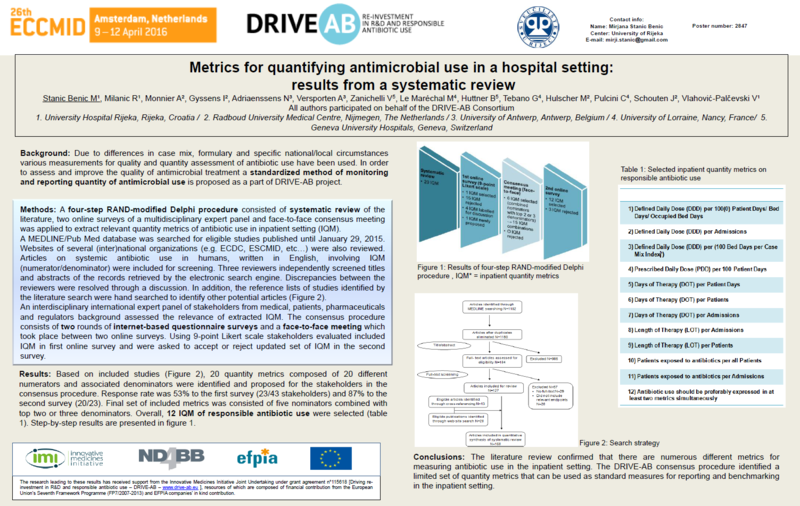 Presented at the European Congress on Clinical Microbiology and Infection (ECCMID), April 2017, and the DRIVE-AB Final Conference, September 2017. 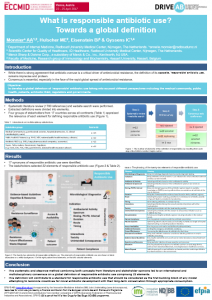 Scientific poster presenting some of the findings of Work Package 1A. 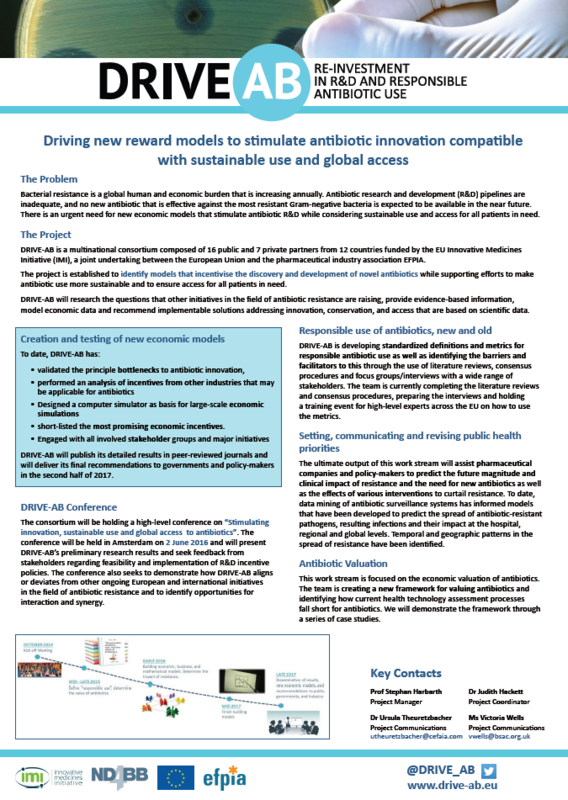 Presented at the DRIVE-AB Final Conference, September 2017. 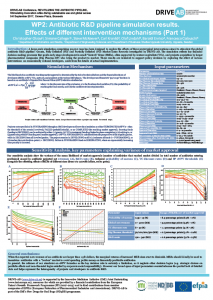 Scientific poster presenting findings of Work Package 1A. 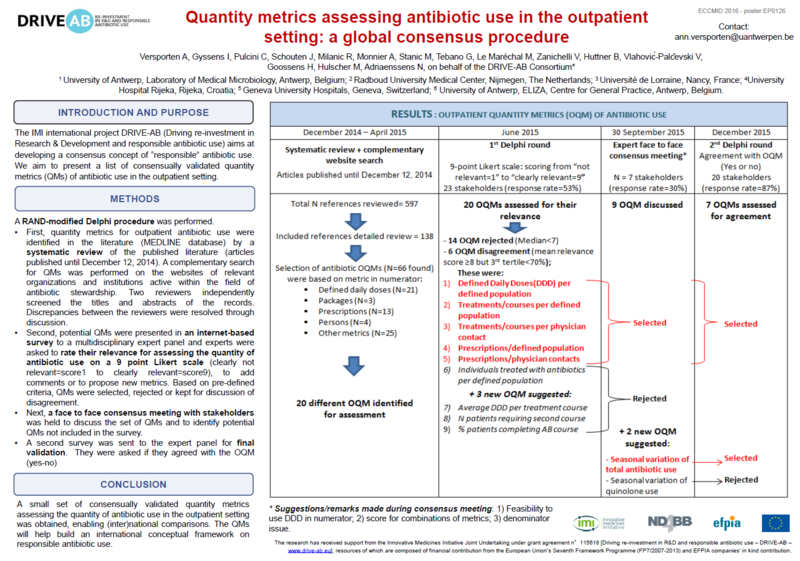 Presented at the European Congress on Clinical Microbiology and Infection (ECCMID), April 2016. 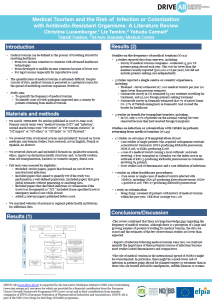 Scientific poster presenting some of the findings of Work Package 1B. 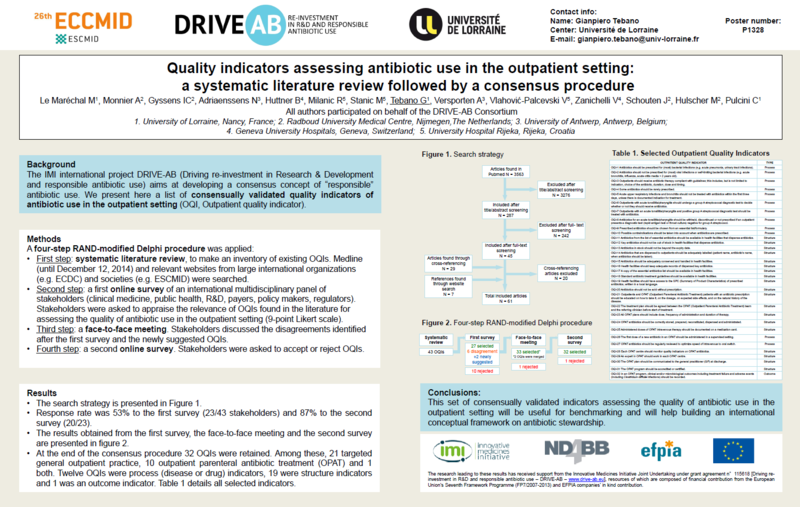 Presented at the DRIVE-AB Final Conference, September 2017.